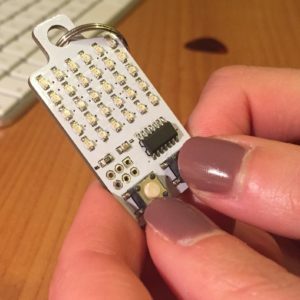 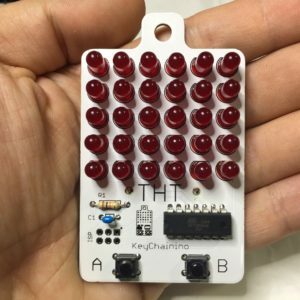 KeyChainino is the first keychain programmable with Arduino. 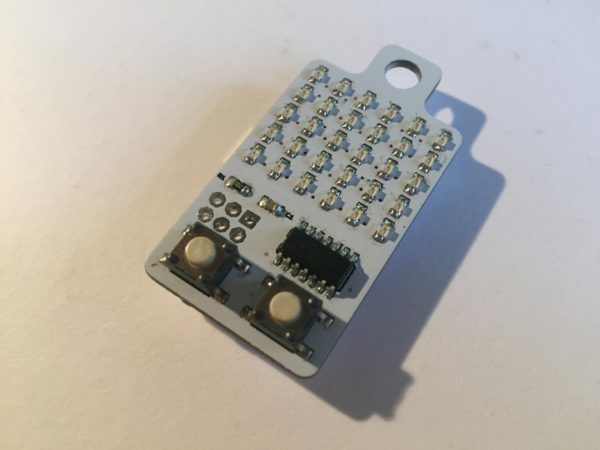 He’s back on our store! 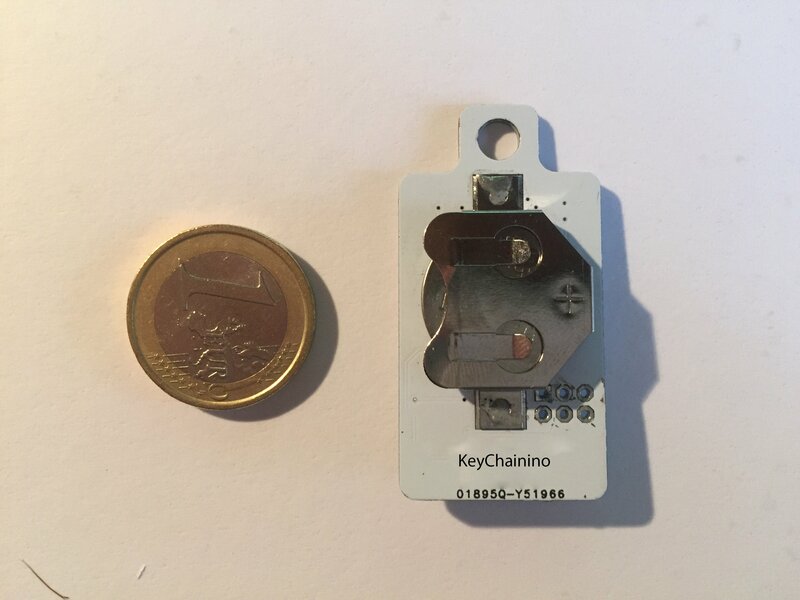 The heart of KeyChainino is the Atmel ATTINY84A-SSU microcontroller that drives a 6×5 red LEDs Matrix. It is powered by CR2032 (3V) Coin-cell battery. 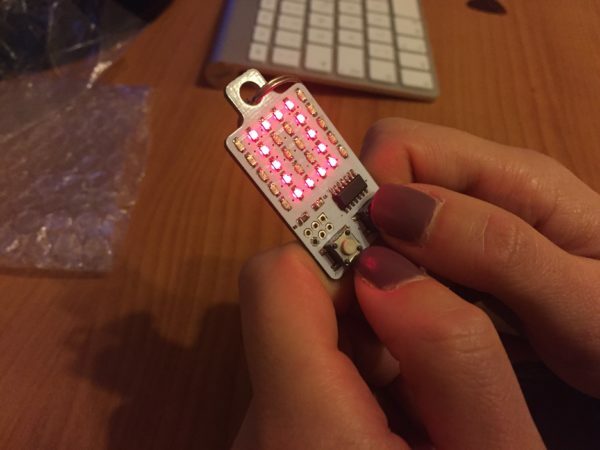 Shipped with Arkanoid game pre-installed. 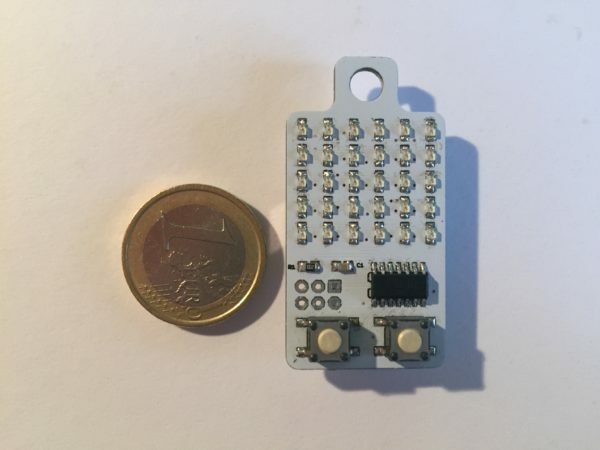 The package includes a 6 pin ISP header.